I hope this is the right place to post this since the trip hasn't happened yet. 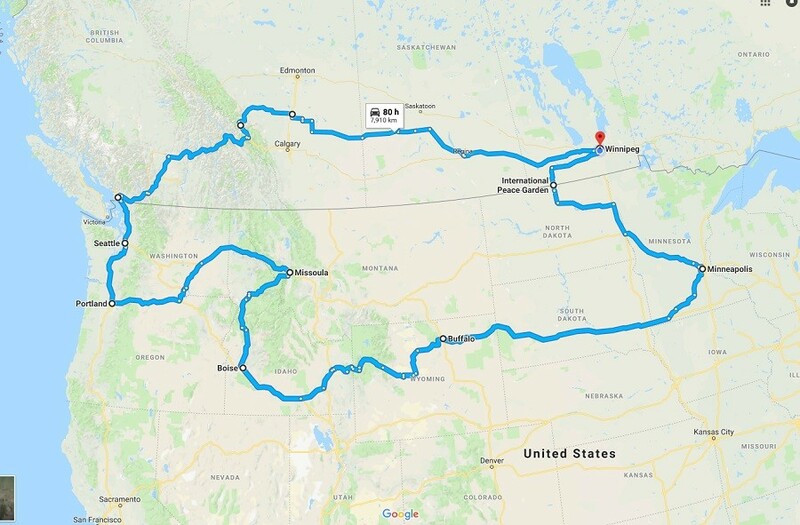 I have begun organizing a mental health awareness ride from Winnipeg to Vancouver and back through the US in May. The theme is "You're Not Alone" so my goal is that during the trip riders will come join in as I'm passing through. This is a rough outline of the route I have planned which hasn't been completely finalized. I hope that some of you will join me for the ride, offer up a place to rest for the night, or just share my trip with other riders so that I can turn this into an annual event and visit out East next year. If you would like to follow along I've set up a web page at notaloneride.com and a facebook page.